The Red Star is a book I only was introduced to a couple of years ago. I was at Supanova (which is a convention over here in Australia) and I had the chance to meet Christian Gossett who was a really nice guy and as there wasn’t that many people milling around him he had time just to chat. He was also promoting the PS2 game that was about to hit stores at that time and as we run on the PAL TV system over this side of the world I was helping him set up the Demo box he had brought so people could play it and have a look at what was coming. I even handed him my mobile phone to use when he was having issues and his wasn’t with him that day. Yes I know I’m getting side tracked now but it has been one of my most memorable things at any convention that I’ve been to. 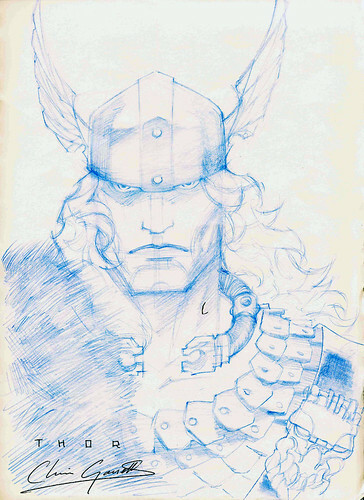 Also I thought you all would like to see the couple of sketches he did for me. 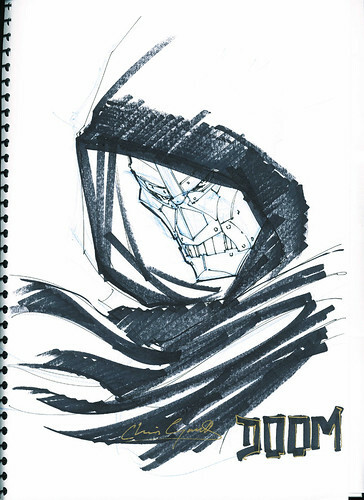 The first was the Doctor Doom in my Villains sketch book and the second was a gift for helping him with the TV and everything else. He showed me the first trade which I picked up as soon as I saw the art in the book I had to pick it up. That night I had half of it read and everything about the series was crying out to me. The Red Star is in an alternative history story where the URRS was formed out of the fall of the Russian Tzars and technology has taken a different path. If I was to compare the setting to anything it would be a modern day steampunk kind of world with SkyFurnaces which are like your flying battle ships and there is also a spiritual element where you have some ‘gifted’ people who are able to commune with the spirit world and use the spirits in war to save the motherland. The saga continues in a beautiful oversized format with the 4th Trade Paperback that collects the first three Sword of Lies annuals into a massive 200-page epic. We are graced with the unforgettable pencils by Christian Gossett, and extraordinary digital painting by the world famous Weta Workshop New Zealand which makes the book look even better than any of the original collections if it could be possible. 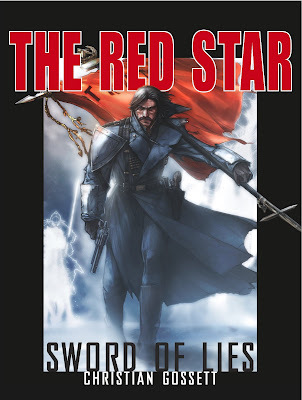 The Red Star: Sword of Lies is the continuation of the comic series that brings readers back to the events as we left them in the previous Red Star Trade Paperback, ‘Prison of Souls’ resuming the adventures of the SkyFurnaces Konstantinov and also takes readers back to the very origin story of the world of The Red Star. It also takes readers back into the time of the Great Revolution, revealing the downfall of the summoner Imbohl. 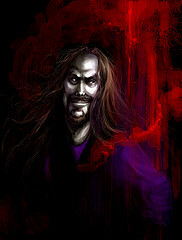 Once a leader of the Revolution, Imbohl’s embrace of evil is the origin of The Red Star saga. I found this series to be one that I could not put down and I even woke a couple of mornings with it half covering my head from passing out while reading at night. Even though there were 200+ pages in there I didn’t want it to end and now I can say it was a quick read but that is only because I couldn’t put it down and had to keep on going with it. Overall I’d recommend this to anyone who wants to get into something different and since they now have the first trade available in the iTunes store for free there’s no excuse to have a look at it and get yourself hooked like I was. I’m really hoping we will see more from this series very soon!